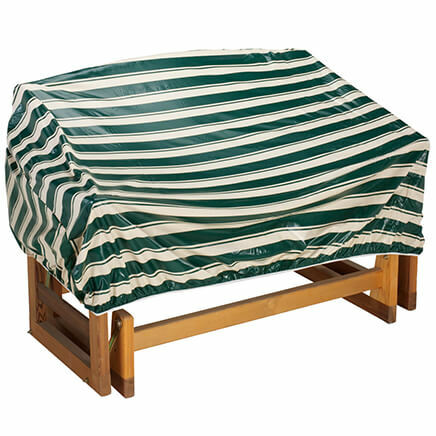 I use this waterproof cover on my futon to protect it, because I have 3 dogs and several cats that sometimes have accidents. 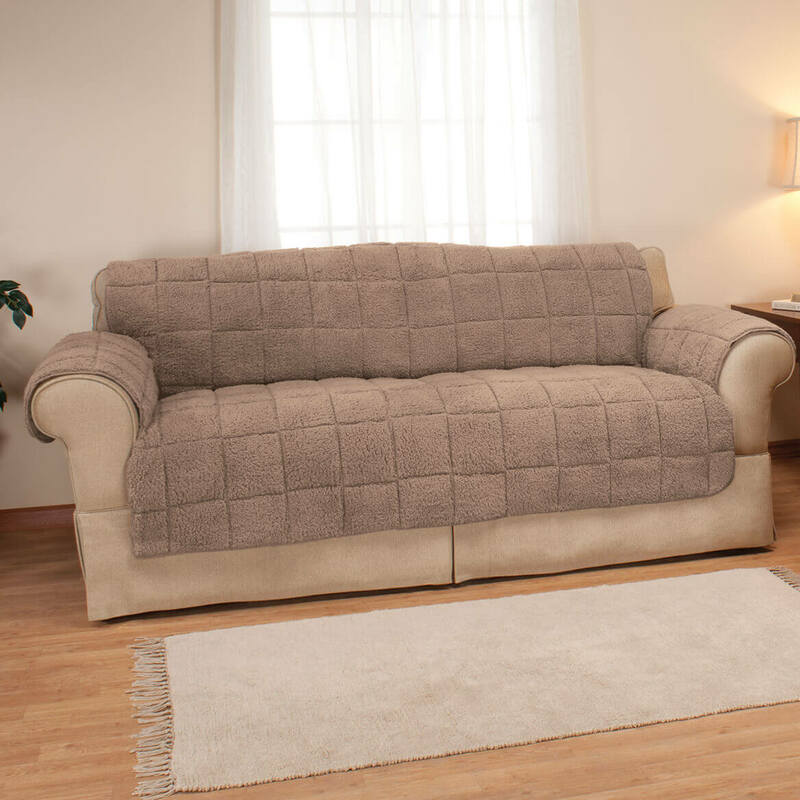 If it gets soiled it is easier to remove & wash than the whole futon cover. Plus, it is waterproof, so nothing leaks through. It does what it is advertised to do. Using on couch in living room to protect couch from four cats. Bought for my son's couch. He has a cat which is quite old so this seems to fit the bil as he sometimes has accidents. . I washed it before putting it on and it came out beautiful so we will see. Very thicker sherpaon top and nice quilting on bottom. 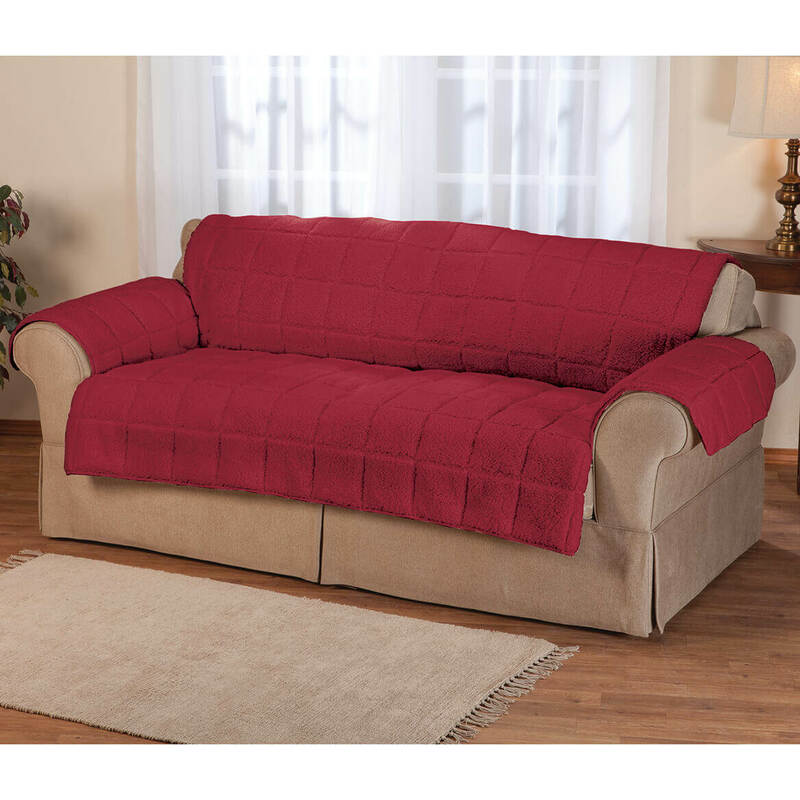 The covers for the sofa and recliner are very soft and nice color. However, they won't stay put. There is nothing to secure them with, and I can't pin my sofa or recliner. I like them, but should be user-friendly. The back is too short, therefore every time you sit on it, the back falls down. The arms are not covered well because the arms of the cover are too narrow. Did not fit. Need to return. 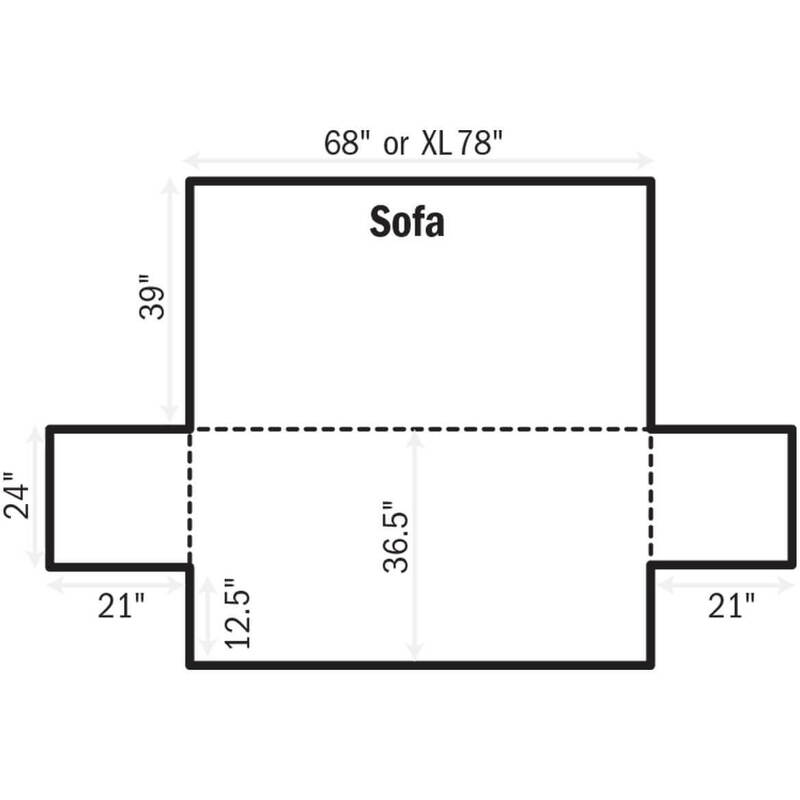 I did measure sofa prior to ordering and felt I was ordering the correct size. 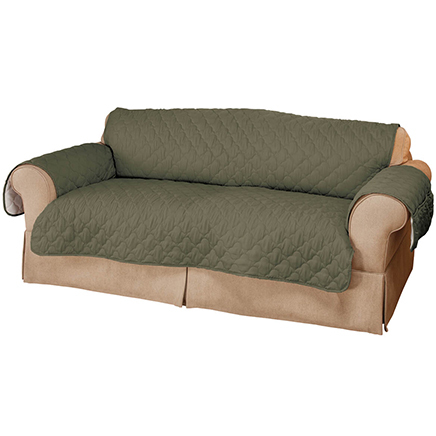 I have a dog and a really nice sofa and loveseat I want to keep nice looking. 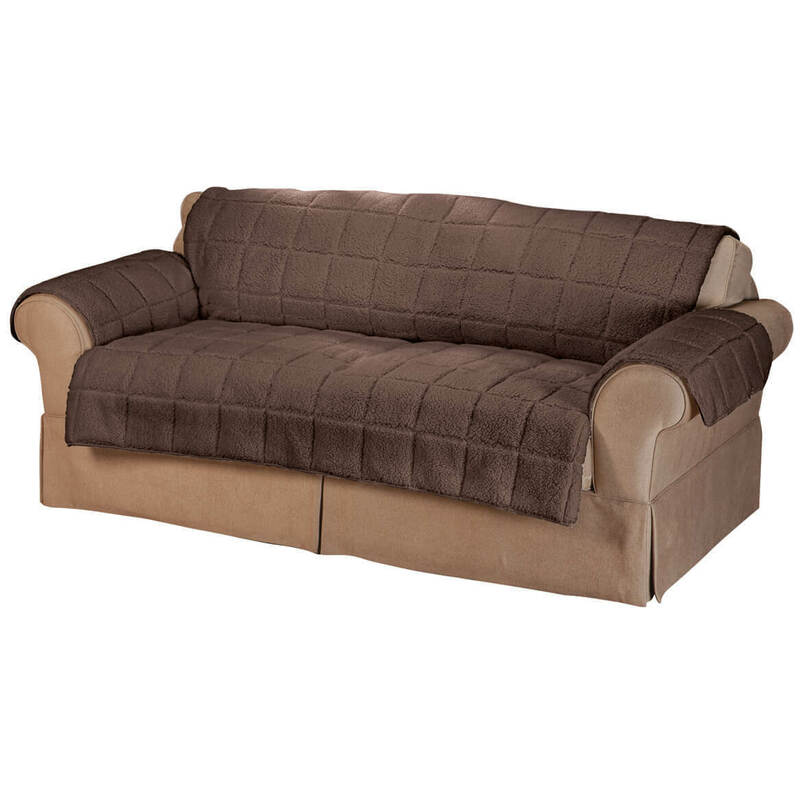 For a new sofa to protect from cats & small children. I like the way it looks and the colors work for me. Less expensive items' reviews did not equal the higher priced product for various reasons. "I have a dog who loves to sit on my furniture. I noticed that she is wearing out the furniture where she sits so I wanted to buy something to protect it. for dogs who won't mind when you say off the couch! Style and quality of item. Easy care - I have dogs. To protect furniture. 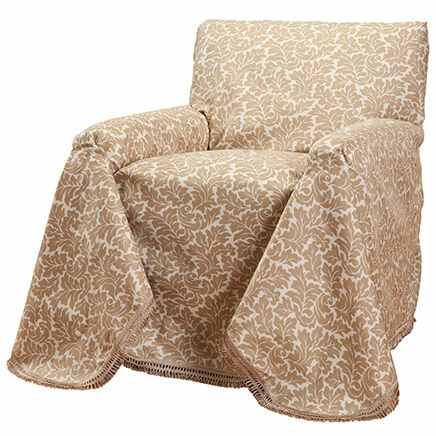 Purchased a similar recliner cover in a prior year and like it. "we can not evaluate until we see the product"
Need a waterproof one as I have an older cat. Appears to be quality material, neutral color, and functional. 4 dogs Need I say more? 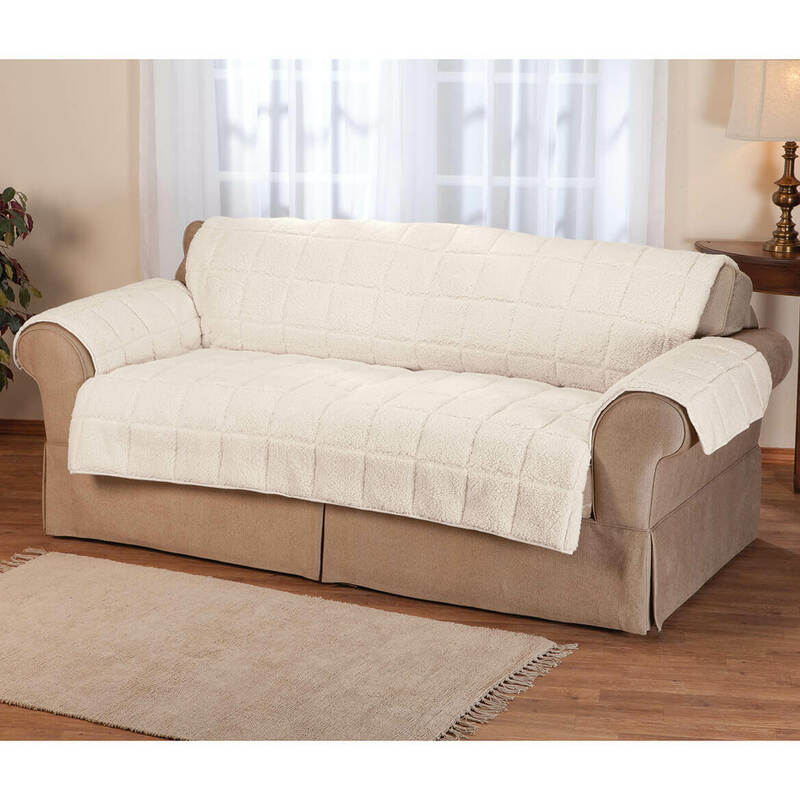 The sofa already needs help and this looks like it will fit both my needs and the dogs, who use it more than I do. Can't find this in local stores. 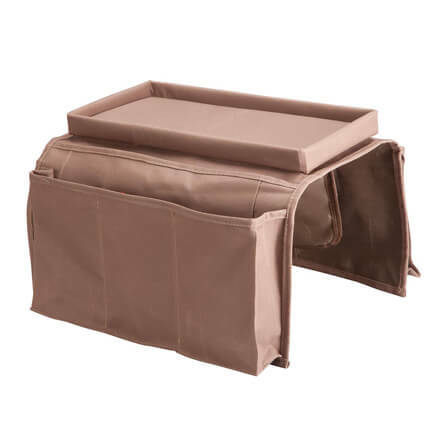 Have a dog that loves to sit with me and the sofa needs this for protection against doggie stains. I got dogs and 1-cat that get the couch. I did have the old cover that is by Oakridge Comfort. 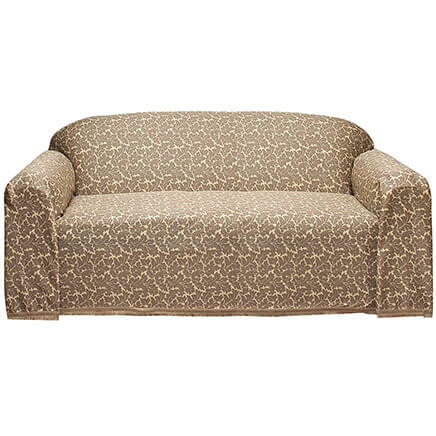 It is time for another new one to protect my couch and 2-recliners. 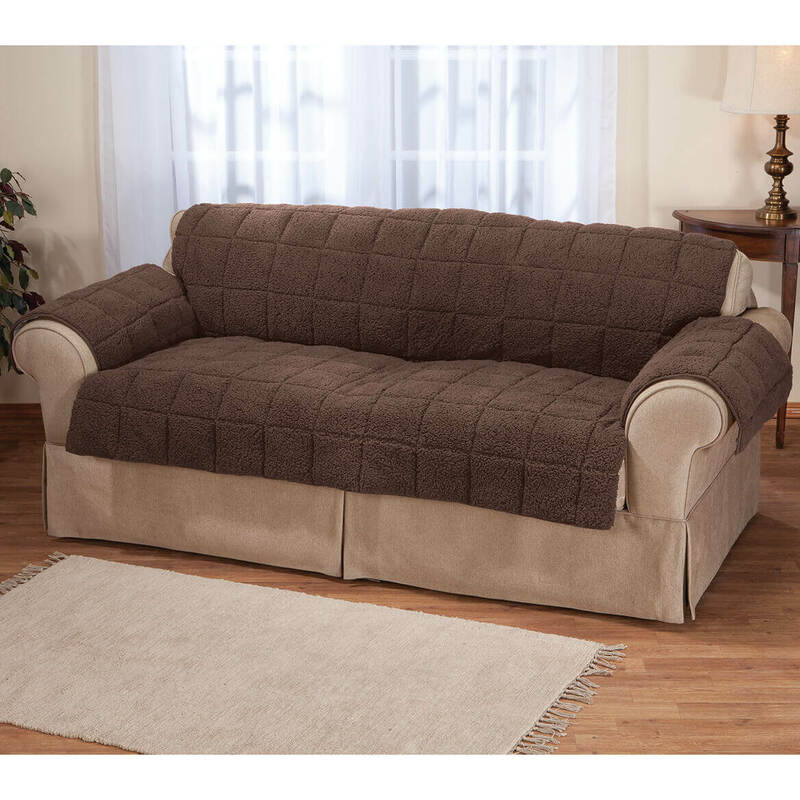 I have always been 100% satisfied with all my purchases from Miles Kimball so when I needed covers for my furniture I chose to buy from them. Because I needed something to cover my sofa. I liked that it was snag resistant. BEST ANSWER: Thank you for your question. There is no installation video. We hope this information will be of help to you.